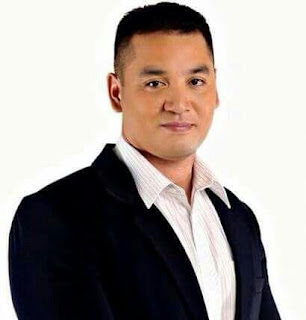 GMA-7 news reporter Dante Perello is leaving the network, we have learned. Perello, an 11-year Kapuso veteran, will officially be leaving in November to become a media and public relations officer for a congressional candidate in Muntinlupa. "Mga kapuso, mabigat sa loob kong lilisanin ang industriya ng pagbabalita, ang aking trabaho bilang journalist na pinangarap at minahal ko," Perello wrote on his Facebook account. "Malungkot pero kailangang gawin ang desisyon upang tahakin ang ibang landas kung saan hatid ay panibagong kaalaman at karanasan na magbubukas ng oportunidad." Perello joined GMA-7 in 2004 as a segment producer, editor and writer for the now-defunct public affairs programs, Emergency and OFW Diaries. He was also part of the long-running Reporter's Notebook, where he worked alongside Jiggy Manicad on two major calamity stories: typhoons Ondoy and Pepeng. He eventually became a news reporter in 2010, and has since then been tapped to cover crime news and disaster stories. Prior to joining the Kapuso Network, Perello worked at the public service arm of ABS-CBN, ABS-CBN Foundation, serving as cameraman, editor, associate producer for Sineskwela, Bantay Kalakasan and Bantay Bata 163 under Gina Lopez.